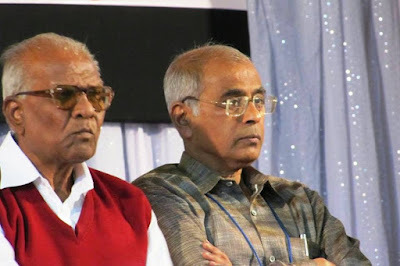 When Dr. Dabholkar, Com Pansare and then Prof Kalburgi were killed over a period of months, the danger signals started being perceived but still it took the beef lynching of Mohammad Akhlaq to give a message that something has drastically changed in the society, and the spate of returning of Sahiya Academy, National and state, awards followed in quick succession. Their protest was against the rising intolerance in the society. The incidents that followed and ran parallel to these ‘award-returns’ were equally horrific. The killing of a trucker on the assumption that he is carrying cows for slaughter; beating of a MLA in Kashmir Assembly by BJP legislatures and the scattered incidents of attacks on Muslims on the ground of beef consumption are too striking. We are currently facing a situation where anybody can incite the violence by just uttering the word beef, while seeing mutton or some such thing. We are living in an atmosphere where cow cannot be shooed away even if she is blocking the traffic.